Welcome to Teaching Classical Languages (TCL). TCL is the peer-reviewed, online journal dedicated to exploring how we teach (and how we learn) Greek and Latin. 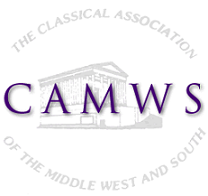 TCL is sponsored by the Classical Association of the Middle West and South (CAMWS). Social networking is not a new concept. People form groups (like CAMWS, ACL, and APA) to talk about things in common. With the Internet, these common-interest groups proliferate online, enabling people worldwide to converse on topics pertinent to their groups. The most recent online phenomenon, social networking, allows people to engage in dialogue while adding content like audio, video, digital images, and documents, and at the same time permits members of these online communities to comment and give feedback on this content. Latin teachers at any level can take advantage of blogging and file-sharing offered by social networking sites like Ning and Facebook to create dynamic, educational environments in which students can interact with each other, as well as the instructor, in pursuit of understanding the Latin discussed in class. Young people already feel that they have ownership of Web 2.0 platforms. Teachers can further empower their students to learn Latin via these platforms by creating classroom social networks. These platforms are both free and easy to use. This paper illustrates how to create a private social network for a sample AP Vergil class using the Ning social network creation tool. This article describes an unconventional method of teaching Greek vocabulary, grammar, and syntax through the translation or adaptation of popular songs into Attic Greek. To reinforce vocabulary and introduce or review points of grammar of syntax in a memorable way, I have adapted and translated a number of modern songs into Attic Greek. Each song was focused around one or two significant concepts (e.g., adverbs, participles, the optative mood) and was presented with the appropriate textbook chapter to augment other available materials. The students themselves, who recommended many of the songs and themes, were consequently active participants in the development of their own ancillary and review materials. My students, furthermore, were inspired to create their own translations and adaptations which were then, once the author approved the instructor's corrections, presented to the class. Incorporating this challenging language into contemporary culture gives students a sense of intimacy and confidence with Greek. In this article, I outline the creative process, explain my Attic Greek song lyrics, and suggest further applications of this technique. A mastery of Greek vocabulary can be a skill which alleviates the strain of learning Greek, so a structured and coherent presentation of vocabulary benefits both teachers and students. This paper examines vocabulary usage and frequency in two popular textbooks, Athenaze and From Alpha to Omega, and compares the vocabulary of each textbook with the 50% word list and 80% word list of core Greek vocabulary developed by Wilfred E. Major (CPL Online 4.1  1-24). The results of this study provide some preliminary work toward the broader goal of providing teachers with vocabulary aids for commonly used Greek textbooks. In particular, this paper provides a list of key vocabulary words that correspond to the two textbooks in the study (appendices 1-4). Some additional suggestions for teachers on how to help students with vocabulary acquisition are provided.